12-inch multi-touch widescreen display (1280 x 800 WXGA) with worldwide basemap. Supports GSD™ premium sonar and GCV™ scanning sonar module. Garmin Marine Network and NMEA 2000 Support: Full-network compatibility allows you to add more capabilities to your boat. GPSMAP 7412 supports radar, autopilot, instruments, multiple screens, FUSION-Link, sensors, remote sonar modules, digital switching, thermal cameras, GRID rotary knob, joystick and keypad control, and more. Network Sharing: GPSMAP 7412 allows you to share features with other compatible GPSMAP units, such as radar, GCV 10DownVü and SideVü scanning sonar, GSD 24, GSD 25 and GSD 26 sonar modules, supplemental maps, and user data, including waypoints, routes and tracks. User data entered into 1 chartplotter can be automatically synced with other chartplotters in a network. 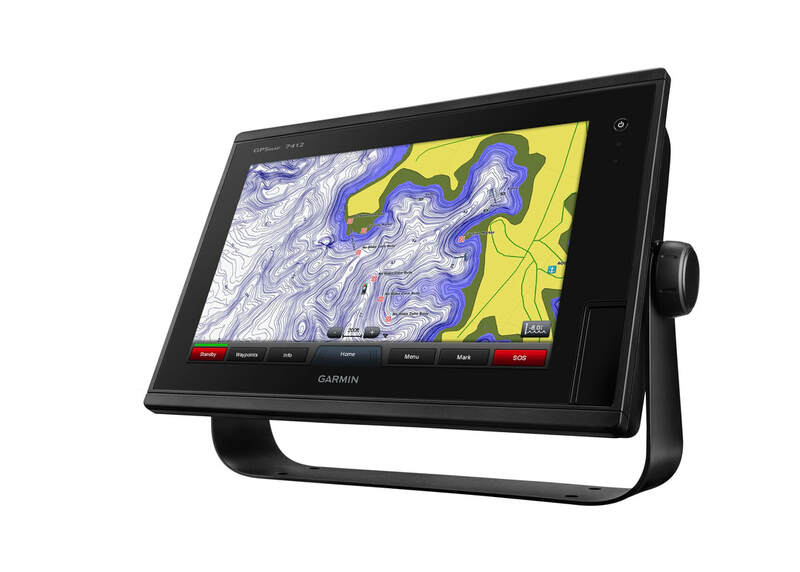 Create your own HD maps: Quickdraw Contours is a free, easy-to-use software feature already installed on your compatible Garmin combo. It instantly creates your own personalized HD fishing maps with 1-foot contours. Tailor them to fit your needs. They are your maps — you own them. Keep the data to yourself, or share it with the Quickdraw Community on Garmin Connect™. There’s no special surveying expertise required. You just fish while it creates maps. You don’t have to wait around or send your files away like other mapping software requires — your results appear instantly. Use with any of the following sonar transducers: Garmin Panoptix™, HD-ID™ traditional, CHIRP-enabled, Garmin DownVü™ or NMEA 2000®-compatible depth. Have more than 1 sonar device installed onboard? Quickdraw Contours automatically selects the most capable sonar device to provide the very best results for you!